Choose ALS for UPSC coaching in Hindi and English medium. 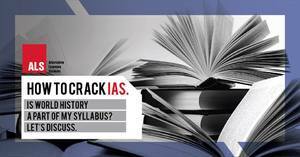 ALS is the best IAS coaching in Chandigarh which provides satellite classes from Delhi, run by India’s best IAS mentors. Study materials and current affairs magazine are also provided. Next batch admission for UPSC 2020 is running in our coaching for UPSC preparation. All these notes and materials are very helpful for your exam preparation. Hurry Up! Join new batch for Civil Services preparation is starting in our coaching. For more information E-mail: - alschandigarh.center@gmail.com and call at: - 8194868400.